Receive 2 free nights for every 7 nights booked or 4 free nights for every 14 booked in a 3 bedroom Royal Apartment! Superbly-appointed properties and a stunning location means the estate is the ideal destination for discerning individuals the world over. 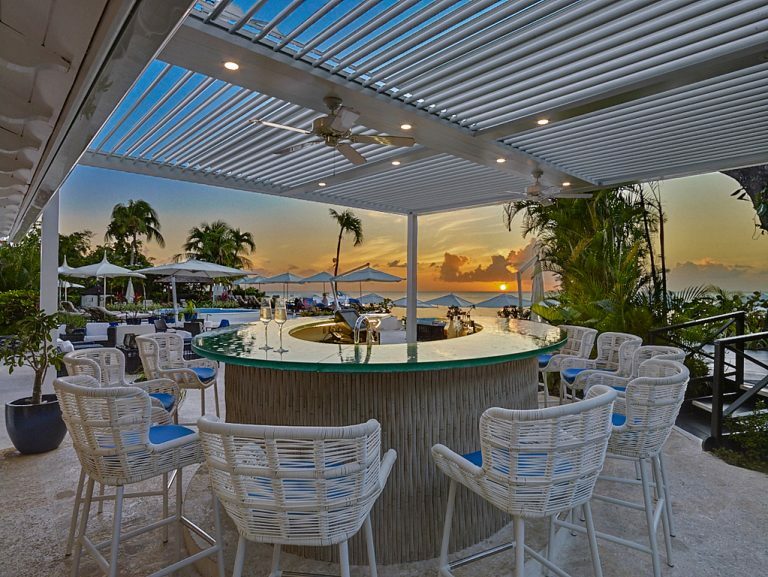 Anyone with a taste for luxurious living – be it for a short trip or to become a resident – will find ever expectation exceeded at the Royal Westmoreland. These stunning architect designed three bedroom villas set within beautifully landscaped tropical gardens reflect a truly Bajan influence. All feature three spacious, fully air conditioned, en-suite bedrooms. The master suite with large sitting area is on the ground floor, along with the second twin bedroom, which opens to a private cover ed terrace. A third double bedroom is provided on the mezzanine floor. Upstairs, large French doors open up the elegant living and dining areas to partly covered terraces. There are three options – detached with private leisure pool, semi detached with plunge pool or semi detached without pool. The breathtaking view is the first thing that strikes you about the restaurant and bar in the elegant Clubhouse. Set overlooking the immaculately manicured 9th green and fairway and with the glittering Caribbean in the distance, it’s a perfect setting for lunch or drinks. The open sided dining room makes the most of the outstanding views and has a wonderfully relaxed atmosphere. The light lunch menu includes a range of delicious dishes created using the finest locally sourced ingredients and drawing inspiration from both Bajan and international cuisine. The Sanctuary – Unwind in the open air Jacuzzi or in the freeform pool. There’s a separate children’s pool plus a juice bar and café with Wi-Fi access throughout. Close to the stunning white sands of Mullins Beach, this divinely luxurious Spa is the island’s exclusive retailer of Elemis skin and beauty products. The highly trained therapists deliver a range of personalised treatments designed to invigorate and soothe body and soul. Lie back and enjoy a massage or facial in one of the relaxing treatment rooms. Or unwind in the blissfully peaceful outdoor pool. Prices: Please email us for any prices required and availability information. This way we can offer you the most up to date special offers.